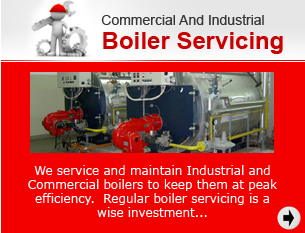 Specialists in the Service, Maintenance and Installation of Commercial and Industrial Oil and Gas Heating Equipment. Rapid Heating Services have been established for 30 years, providing a wide range of services for both gas and oil fired equipment in and around Birmingham. A 24 hour call out service is also in operation to provide immediate response to all contact customers, and to most they respond in under a couple of hours. Our specially trained engineers also carry out warranty and service work for contractors and manufacturers who do not employ their own engineers or to supplement there own staff. All our clients have complete peace of mind with a guaranteed rapid response time, and our call out service is ready to react to any emergency, 24 hours a day, 365 days a year. 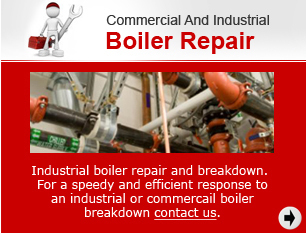 As Broag-Remeha (Midland) agents we also maintain their full range of boilers and associated equipment, but are also experienced in working on many other manufacturers' products too. 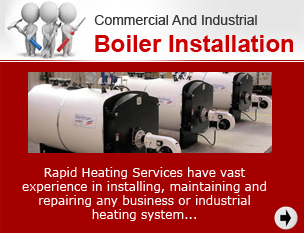 Rapid Heating Services supply a friendly and effective service to all of their customers. To enquire about our services please contact us on 0121 326 0333. Click here to view our charges.